In his song Vienna, world-renowned musician and undercover theologian Billy Joel sings “Slow down, you crazy child / You’re so ambitious for a juvenile / But then if you’re so smart, then tell me / Why are you still so afraid?” That was back in 1977. But in 2019, the piano man’s words still ring true. In an insta-filtered age of self-betterment and progress, our heads overpower our hearts. For some it may be career, for others it’s each time they check social media, but no matter the thing, we all bring some type of metric to measure our worth or success over and against another. What we fear outweighs what we know and failure to measure up becomes isolating and debilitating. Unfortunately, our failures often skew how we think God views us. We have been tricked into believing that shortcomings, lack of spiritual growth, or tendency towards maliciousness somehow skews God’s gaze. But in Noel Jesse Heikkinen’s new book Wretched Saints, he gently and winsomely reminds us that through the work of Christ, we are and will forever be looked upon as dearly loved. In the book, Noel unpacks his paradox of wretched saints through a combination of personal, cultural and biblical stories. Through them, he helps readers understand the weight of sin and the glorious news of grace. Like the best pastors, Heikkinen reminds us that sin convicts and the gospel relieves. We are wretched and prone to wander; conditioned to make much of ourselves and little of others. But through faith, we are wretched saints! Christ snaps our measuring sticks in the name of love. We have been raised from the dead and live as saints as Christ lives in us (Gal 2:20). Noel’s cultural awareness lends a helpful perspective for those saturated in the everyday rhythms of life. His encouraging words help frame the sinner/saint paradigm both in how we engage in culture and in God’s Word. I hope Noel’s message resonates with those hearing it for the first time and all of us that need to hear it over and over again. 30 years from now, people may crack open this book and have to research the cultural references that fill the pages. And those not as acquainted with pop culture today may feel the same at first read. But one thing will always remain constant about Heikkinen’s reflections: they show us who we are – wretched – and who we are in Christ: wretched saints. This truth is as old as time and is only becoming truer with each step towards glory. 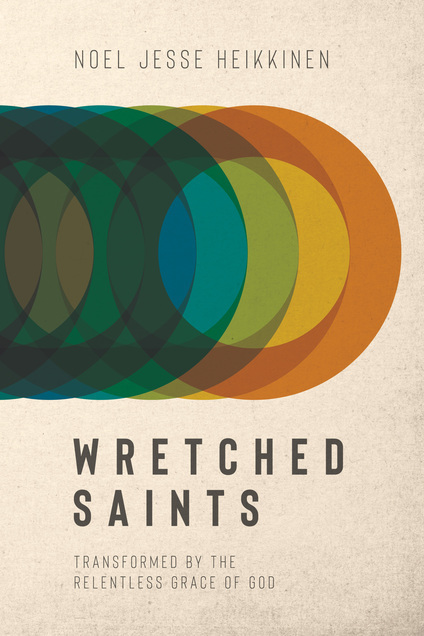 Order your copy of Wretched Saints now on Amazon!